The much-vaunted German and Swiss system of apprenticeship - where students take on jobs and study for degrees concurrently - will be tried out at universities here. 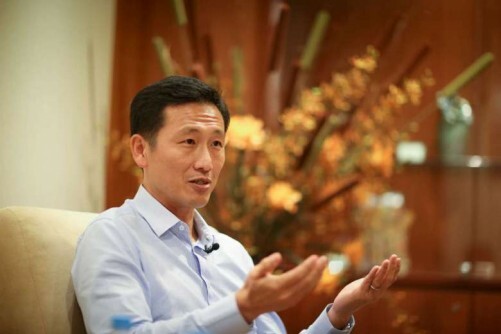 Acting Minister for Education Ong Ye Kung, who is in charge of higher education and skills, said the Government is working with universities and selected companies to launch a few pilot programmes combining work and degree studies. The details are being worked out and will be released later, but Mr Ong said that it will be a "different kind of university programme suited to this century, where businesses do not just offer internships, but step into the university to shape the curriculum". Under the Swiss and German schemes and some cooperative education programmes in the United States and Canada, school leavers take on jobs, but participate in a training programme where they alternate between work and studies. The theory they learn in class is reinforced by practice at work. Companies, in fields as diverse as advanced manufacturing, IT, banking and hospitality, work with universities in drawing up the curriculum and assigning mentors to guide the students in their training. Trainees are paid for their time, including in class. And both employer and employee generally hope that the apprenticeship will lead to a career with the company. Mr Ong, who revealed the plan in an interview with The Straits Times, said that there is an increasing convergence between work and study. Whereas in the past, apprentices learnt from their masters over several years, companies now offer structured programmes and some have even set up their own corporate universities, he said. Companies, too, are conducting research and making new discoveries. Knowledge creation is no more the monopoly of universities. Mr Ong noted that work has also crept into universities. He said: "Universities now have an incubator space where students are teaming up with faculty, working on start-ups, setting up enterprises. So I expect tertiary programmes will increasingly be delivered by both institutions as well as industries." Job experts welcomed the apprenticeship schemes at the university level. Human resource expert David Leong, who runs PeopleWorldwide Consulting, said combining work and degree studies will turn out highly productive graduates who can hit the ground running. "The employee will not only have up-to-date knowledge on his field, he would have also developed all the necessary work skills and absorbed the company culture," he said. Mr Leong, who served on the Applied Study in Polytechnics and ITE Review committee two years ago, said such schemes will help workers avoid the problem of "skills mismatch", or the gap between one's skills and the job market's demands. For such a scheme to work, however, there must be attractive job placements with big companies. Said polytechnic graduate Sebastian Tan, 20, who hopes to enrol in a cyber security degree programme at a local university next year: "I do see the value of working while studying, especially if you can tailor your degree studies to the knowledge and skills required in the job."